A number of cardiovascular diseases owe their existence to clogged arteries. Atherosclerosis or clogged arteries is the narrowing of arterial vessels due to the buildup of plaque-a deposit of cholesterol, calcium, and fat. This can choke off the smooth flow of blood since arteries carry blood rich in oxygen and nutrients to various parts of the body from the proximal head to the distal foot. This progressive accumulation of plaque poses as a hindrance to the flow of nutrient-rich and oxygen-rich blood, impeding the proper functioning of the various organs and even causing potential damage to the body such as a heart attack. Hence, it is imperative to keep your arteries healthy to maintain the strength, life, and functionality of your heart. Although arterial blockage can progress with age, it rapidly enters the 30s and takes the center stage in the 50s or 60s. The buildup of plaque that results in clogged arteries begins once the inner lining of an artery is damaged. This leads to inflammation, and in a bid to heal the inflamed artery, plaque deposits on the affected region. Excessive smoking is associated with atherosclerosis in the body’s main artery called aorta, arteries in the legs, and the coronary artery. Smoking is a key player in escalating plaque formation. Clogged arteries progress as you age but may not be detectable early. The symptoms may appear once it has taken a severe form, especially when the blockage is around 60%-70%. Arrhythmia – This is an abnormality in the heart rhythm due to the inadequate blood supply to the heart. Peripheral artery disease – This occurs as a result of plaque formation in the arteries of the arms and legs. Heart attack – This occurs due to improper flow of blood that can cause damage to your heart muscles. Rupturing of a cholesterol plaque can cause clot formation, which can possibly trigger a heart attack. Heart failure – This is a chronic condition where your heart’s efficiency to pump blood is reduced. This can deprive your body of its oxygen and nutritional demands. Narrowing arteries can progress slowly over time. Timely diagnosis is very important. 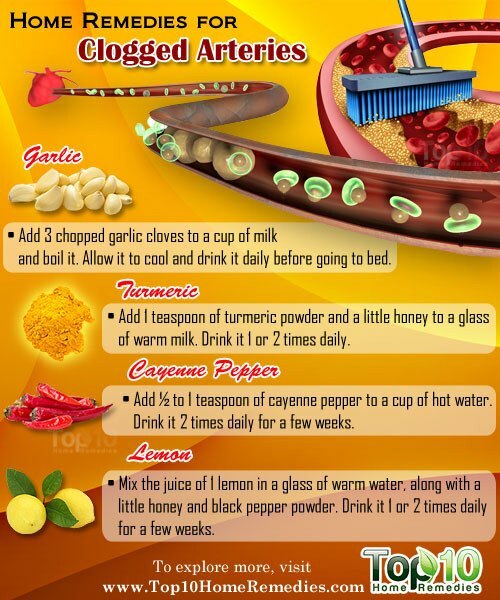 Managing clogged arteries with drugs, procedures, and home remedies can help reduce the risk of serious cardiovascular diseases. Because clogged arteries are majorly caused by increased levels of cholesterol and triglycerides, making changes in your diet and lifestyle can help you whisk off the risk of plaque formation. Have a wholesome diet to keep your heart healthy. Avoid foods that are high in saturated fats, salt, and sugar. Aim to eat five portions of fruit and vegetables a day. Exercise for at least 5 days a week. Maintain a healthy body weight to reduce the levels of bad cholesterol. Restrict the consumption of alcoholic beverages. To alleviate the chances of a complication, clogged arteries might require medical intervention. Your doctor may prescribe medications to lower the levels of LDL cholesterol alongside dietary changes. These actions should be seen as additional help rather than as solutions. With severe blockages, doctors may perform a surgery called a heart bypass to make sure the blood can get around the obstructed artery. Note: Prolonged blockage in the arteries can take life-threatening forms such as a heart attack or stroke if left unaddressed. Although home remedies may help to prevent or manage the preliminary stages of the disease, these should not be used as a substitute for medical treatment. Because you can prevent or reduce the blockage in your arteries largely by eliminating bad cholesterol from your diet, it is important to include food sources that can bust the bad cholesterol and aid in its elimination. The natural remedies listed below can come in handy due to their ability to diffuse arterial plaques. A regular exercise regimen can help improve your heart health and manage your cardiovascular health. 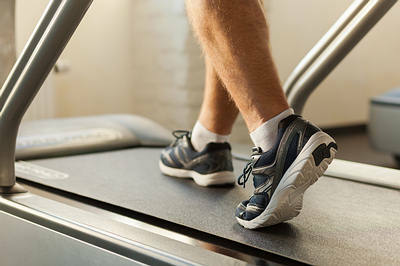 Physical exertion may help reduce stiff and clogged arteries. Regular exercise will help you maintain healthy body weight and prevent excess cholesterol from accumulating in your body. Do aerobic exercises such as walking, jogging, bicycling, and jumping rope to strengthen your heart function and improve your cardiovascular health. Try some deep breathing exercises and yoga to help reduce mental and physical stress symptoms, which has a positive effect on your cardiovascular health. Garlic is one of the best remedies to regress arterial blockages. It helps widen blood vessels, thereby improving blood circulation. According to a study conducted by the University of Alabama at Birmingham, garlic can help relax blood vessels by up to 72% as compared with a placebo. Moreover, garlic lowers bad cholesterol levels and reduces the risk of heart attacks or strokes. Add three chopped garlic cloves to 1 cup of milk and boil it. Allow it to cool and drink it daily before going to bed. Turmeric is a well-known spice to combat oxidation and inflammation in the body. This property is attributed to its integral component curcumin, which may help prevent clogged arteries and keep your heart healthy by reducing the levels of bad cholesterol. Aside from this, turmeric can also help prevent clots that are formed by blood platelets. Add 1 teaspoon of turmeric powder and a little honey to 1 glass of warm milk. Drink this one or two times daily. Take turmeric supplements. The usual recommended dosage is 400 mg to 600 mg three times daily. However, consult a doctor before taking any supplements. Also, include turmeric powder in your cooking practices. The presence of the powerful anti-inflammatory compound capsaicin makes cayenne pepper a potent remedy to combat arterial plaques by increasing the good cholesterol (HDL), decreasing the bad cholesterol (LDL), and decreasing inflammation in the arteries. It also improves blood circulation and reduces the risk of heart attack and stroke. Add a ½ to 1 teaspoon of cayenne pepper to 1 cup of hot water. Drink this solution two times daily for a few weeks. You can also take cayenne supplements but only after consulting your doctor. Lemon is a godsend source a powerful antioxidant-vitamin C. Vitamin C can help reduce inflammation and lower blood pressure and cholesterol levels by keeping a check on arterial inflammation and curbing oxidative damage in the bloodstream. Mix the juice of one lemon in 1 glass of warm water, along with a little honey and black pepper powder. Drink this solution one or two times daily for a few weeks. Alternatively, boil 1 tablespoon of lemon peels in 4 cups of water for 20 minutes. Strain the water and add honey to it. Drink 1 cup of this solution, three or four times daily for several weeks. Ginger is a storehouse of anti-inflammatory compounds that can lower blood pressure and diffuse arterial plaques. The bioactive compounds gingerols and shogaols that compose this remedy can effectively lower total cholesterol, block LDL oxidation, help prevent plaque buildup, and lessen the existent blockage in your arteries. Alternatively, eat a small piece of raw ginger on an empty stomach daily or take ginger capsules after consulting your doctor. Note: Do not use ginger remedies if ginger gives you gastric upset or heartburn or you are suffering from gallbladder problems or gallstones. The saponins in fenugreek seeds can diffuse the effect of LDL and accumulated fat by their antioxidant action and treat clogged arteries efficiently. Moreover, the high amount of fiber in fenugreek seeds plays a key role in binding to bad cholesterol and aiding in its excretion. Soak 1 teaspoon of fenugreek seeds in water overnight. The next morning, consume the soaked seeds along with the water on an empty stomach. Another option is to add 1 teaspoon of fenugreek seeds to 1 cup of water. Boil it for 5 minutes, strain the water, and add a little honey. Drink the solution one or two times daily. 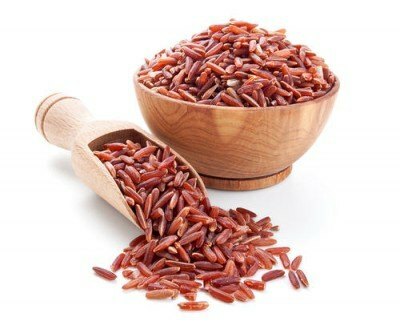 Red yeast rice is packed with natural monacolins that help maintain arterial health by lowering the level of LDL cholesterol. Moreover, the concentration of phytosterols, beta-sitosterol, campesterol, stigmasterol, isoflavones, and many trace minerals that are heart healthy helps counter cardiovascular ailments. You can cook and eat red yeast rice like any other white or brown rice. Another option is to take red yeast rice tablets in 1,200 mg doses, two times per day, with meals. Always consult your doctor for the proper dosage and appropriateness for your condition. Flaxseeds contain copious amounts of alpha-linolenic acid (ALA), an omega 3 fatty acid. These seeds help reduce blood pressure and inflammation and contribute to the overall health of the heart by keeping the arteries clear of obstructions. In addition, the fiber in flaxseeds helps clear clogged arteries by binding with bad cholesterol and facilitating its removal. 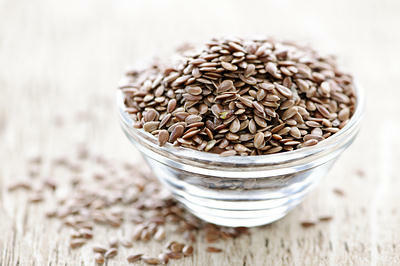 Consume 2 to 4 tablespoons of ground flaxseeds daily to help clear clogged arteries. Alternatively, add ground flaxseeds in your smoothies, soups, and juices. Pomegranate is rich in antioxidant phytochemicals that help protect the circulatory system by scavenging free radicals that can cause plaque buildup and blood clots in the arteries. Moreover, pomegranate stimulates the production of nitric oxide in the blood, keeping the arteries open and decreasing the levels of blood pressure. Eat one to two fresh pomegranates daily. You can also drink 1 glass of freshly extracted pomegranate juice once daily. Strictly avoid the consumption of fried red meat, processed products, and junk foods. Enrich your diet with beans, whole grains, and fruits rich in antioxidants such as oranges, butternut squash, mangos, tomatoes, watermelon, and blueberries. Sit in the early morning sunlight to replenish your vitamin D levels. Consume flaxseeds, walnuts, and at least two servings of fatty fish such as mackerel, tuna, trout, herring, and salmon to increase your omega-3 fatty acid intake. Drink 2 cups of green tea to curb your levels of bad cholesterol through its antioxidant action. To enhance the levels of good cholesterol (HDL), include 2-3 tablespoons of extra-virgin coconut oil in your diet. Include extra-virgin olive oil in your culinary practices to maintain a healthy level of cholesterol. The predominant cause of clogged arteries is an elevated level of bad cholesterol and triglycerides in the blood. This can impede the smooth flow of blood and affect your overall health. A perpetually clogged artery can result in fatal health conditions such as arrhythmia and heart attack. A visit to the doctor and routine checkups are a must for a proper diagnosis of atherosclerosis. Aside from undertaking medications, incorporating regular exercise, following home remedies, and implementing dietary changes religiously can help tamp down the buildup of plaques in your arteries and maintain your heart health. Buja LM. Coronary Artery Disease: Pathological Anatomy and Pathogenesis. Coronary Artery Disease. https://link.springer.com/chapter/10.1007/978-1-4471-2828-1_1. Published January 27, 2015. Jin J. Testing for “Silent” Coronary Heart Disease. JAMA patient page. https://jamanetwork.com/journals/jama/fullarticle/1899206. Published August 27, 2014. Zhu Y, Anand R, Geng X, Ding Y. A mini review: garlic extract and vascular diseases. Neurological Research. 2018;40(6):421-425. doi:10.1080/01616412.2018.1451269. Garlic Boosts Hydrogen Sulfide To Relax Arteries. UAB – The University of Alabama at Birmingham. http://www.uab.edu/newsarchive/37653-garlic-boosts-hydrogen-sulfide-to-relax-arteries. Lan C, Chen X, Zhang Y, et al. Curcumin prevents strokes in stroke-prone spontaneously hypertensive rats by improving vascular endothelial function. BMC Cardiovascular Disorders. 2018;18(1):43. doi:10.1186/s12872-018-0768-6. Qin Y, Ran L, Wang J, et al. Capsaicin Supplementation Improved Risk Factors of Coronary Heart Disease in Individuals with Low HDL-C Levels. Nutrients. 2017;9(9):1037. doi:10.3390/nu9091037. Aslani N, Entezari MH, Askari G, Maghsoudi Z, Maracy MR. Effect of Garlic and Lemon Juice Mixture on Lipid Profile and Some Cardiovascular Risk Factors in People 30-60 Years Old with Moderate Hyperlipidaemia: A Randomized Clinical Trial. Internation Journal of Preventive Medicine. https://www.ncbi.nlm.nih.gov/pubmed/27563431. Published July 29, 2016. Nicoll R, Henein MY. Ginger (Zingiber officinale Roscoe): A hot remedy for cardiovascular disease? International Journal of Cardiology. https://www.sciencedirect.com/science/article/pii/S0167527307016853. Published November 26, 2007. Ahmad A, Alghamdi SS, Mahmood K, Afzal M. Fenugreek a multipurpose crop: Potentialities and improvements. Saudi Journal of Biological Sciences. https://www.ncbi.nlm.nih.gov/pmc/articles/PMC4894452/. Published March 2016. Red Yeast Rice. NIH. https://nccih.nih.gov/health/redyeastrice. Published March 19, 2018. Malinowski JM, Gehret MM. Phytosterols for dyslipidemia. Americal Journal of health system pharmacy. https://www.ncbi.nlm.nih.gov/pubmed/20592321. Published July 15, 2010. Ursoniu S, Sahebkar A, Andrica F, Serban C, Banach M. Effects of flaxseed supplements on blood pressure: A systematic review and meta-analysis of the controlled clinical trial. Clinical Nutrition. 2016;35(3):615-625. doi:10.1016/j.clnu.2015.05.012. Stowe CB. 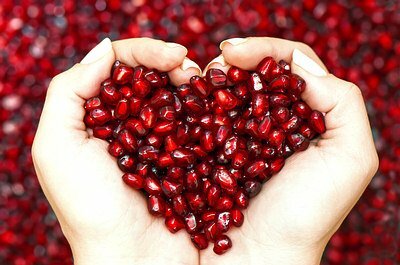 The effects of pomegranate juice consumption on blood pressure and cardiovascular health. Complementary therapies in clinical practice. https://www.ncbi.nlm.nih.gov/pubmed/21457902. Published May 2011. Raub JA. Psychophysiologic Effects of Hatha Yoga on Musculoskeletal and Cardiopulmonary Function: A Literature Review. The Journal of Alternative and Complementary Medicine. 2002;8(6):797-812. doi:10.1089/10755530260511810. Chinwong S, Chinwong D, Mangklabruks A. Daily Consumption of Virgin Coconut Oil Increases High-Density Lipoprotein Cholesterol Levels in Healthy Volunteers: A Randomized Crossover Trial. Evidence-based Complementary and Alternative Medicine :eCAM. 2017;2017:7251562. doi:10.1155/2017/7251562. Cicerale S, Lucas LJ, Keast RSJ. Antimicrobial, antioxidant and anti-inflammatory phenolic activities in extra virgin olive oil. Current Opinion in Biotechnology. https://www.sciencedirect.com/science/article/pii/S0958166911006811. Published October 13, 2011. Take a lemon and slice it into discs. Remove the seeds. Dip in honey and eat all of it rind, pith, and flesh. Yes it’s bitter but not as dramatic as dying. Look out for hydrogenated fats that are solids at room temperature. Shortening is one of them. In the winter the tiny arteries around your lungs cool down when you breath brisk air. The HD fats in your blood return to a solid and clog the arteries around your lungs. Kinda hard to get O2 into your blood that way. Lots of foods contain HD fats: anything fried, baked goods like cookies, most processed or fast foods (read the label). Cholesterol is a lipid . Your muscles burn lipids as a fuel when demands or loads are placed upon them. A healthy walk puts a serum load on your blood stream which then leaches the cholesterol deposits out of your arteries. Inflammation is the root cause of clogged arteries. If your cholesterol is high, its most likely there is a lot of inflammation in your body. Your body produces cholesterol to heal itself. Treat the inflammation. I often include garlic or ginger in my diet. Regular exercises give my body strength and energy. Thank you for this worthwhile and very useful information. educational materials they are good. I had engioplasty in 2006 . Now i m quite fit pl let me know the best home remedies to prevent further any complications. I have chest pain started yesterday with numbness of left aram. I will just use turmeric drink. I hope my pain will go away. Thank you. You should see your cardiologist immediately as the remedy may not work fast enough to get you past the emergency. You need to have a cardiac catherization and possibly stent placement. Go to the emergency room if you have more pain. Do not delay as this can cause sudden cardiac arrest. If you are having chest pain and numbness in your left arm you need to seek medical attention immediately! While turmeric may be a great thing in your future plans, right now you need evaluation by a doctor. These are signs that your heart muscle is not receiving adequate blood supply and the longer you wait the more damage (tissue death) occurs. You sir may be having a heart attack! Trust me, I’m a nurse, and I’ve been involved in codes of people who thought their chest pain was something they could put off or take care of themselves. You Ned to go to hospital now!!! don’t take it light. treat the symptoms seriously by consulting cardiologist at the earliest. 1/2 teaspoon of Cayenne might be too strong for the average person start with a 1/4 teaspoon first as it can be very harsh for some people who are not used to hot peppers. I have hypertension.last one month ,I eat fresh garlic with each meal.I felt,garlic is a magical remedy for me. the published article is very useful. thak you! Good suggestions to treat severe health problems in an easy manner with ordinary things at hand. why, if the person telling that garlic and milk go together. I liked your recommendations for heart.Please keep me updated on health related issues. there is about 1/3 of a cup of juice when squeezing a full lemon. That’s excessive to me for just one cup of water, and too much acidity is bad for the body. The body should be more alkaline than acidic, right? the best way to keep heart healthy, walk 45-50 minutes 5 days a week. take 1/2 teaspoon of turmeric powder in Luke warm water with 1 teaspoon of lemon juice add 1 teaspoon of apple cider vinegar organic with mother, also add 1/2 teaspoon of ginger juice, take this mixture twice a day. you may not have any heart trouble. in case of cooking oil use canola oil. Hinayana, Canola oil is really bad for you. The best oils to use is a good extra virgin olive oil, coconut oil, avocado oil. Other than at you are on the right track.
. Absolutely, skip the milk . Milk is for new born calves..
Pls check for Spondolosis / Spondylitis from your doctor.. the nagging pain in the neck can cause the blood pressure to increase. Leah…you have blood pressure. 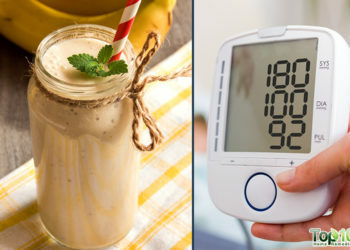 If the bottom number is 90 and above you have high blood pressure. The top number clearly shows that you have high blood pressure. By now you should have seen a doctor. Be well. Prevent diseases n stay health no need to first get sick then opt for preventive measures rather use the above suppliments on a daily basis. very nice. It is give more informetion to know about usefull crops. Thanks alot!!!
!) Fresh garlic, 2) Lemon Juice, 3) Ginger, 3) Cinnamon, 4) Honey, add water. One glass of this drink mixture per day for reducing heart problem and reducing clog arteries. You can also add “Sesame oil” and “Turmeric” to this mixture very effective. how much of each should you bring to a boil, would like to try this, when is the best time to drink? can i use powder form of ginger, cinnamon, and turmeric? I drink fat tree milk with half teaspoon turmeric an teaspoon honey boil 5 mins. let set till it cools some drain it..an drink it..very good.. If you use turmeric sprinkle black pepper over it for best results. I blitz an apple; ginger powder, turmeric, cinnamon (from Sri Lanka, which is the best), juice of a whole lemon, sprinkle of black pepper and smaller sprinkle of cayenne pepper. Blitzed with pure water (not from the tap). If you like it sweet, warm it up and add raw honey. I take this every day and all of my bits and pieces still work and I am 77 years old. Loved this article, really good information. Thank you. This is a really good article, full of beneficial information. Thank you for sharing. long b4 I heard antiblockage home remedy…it lower cholesterol level and reduce blockage…you may try.ginger juice,garlic juice,lemon juice, apple cider vinegar all each one cup mix n boil to reduce by 25% then cool and add 1-2 cup of honey mix n store in clean jar.every day empty stomac take 2 tabel spoon. Its the American way tons of truths. Thank you! What I believe is also important is to consciously take deep breaths of fresh air and really focusing on the breathing. Doing that often throughout the day will get you to a relaxed state of mind and that will be helpful to make wise decisions in terms of healthier living. garlic ,turmeric, ginger, pepper, and lemon are life saving, use with coconut oil for long life. Thank you. I’ve always liked and believed in home remedies. It’s always better when you make it yourself, anything homemade that is. I do have mild heart problems, and definitely need to do these home remedies. Thank you again. God Bless You.